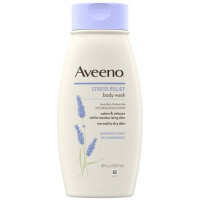 Aveeno Stress Relief Moisturizing Lotion helps calm and relax you while moisturizing for a full 24 hours to leave skin soft and smooth. Using the goodness of nature and the power of science, this soothing body lotion is made with natural oatmeal and intensely hydrates skin, leaving it feeling soft and smooth. It also combines the calming scent of lavender, and chamomile and ylang-ylang essential oils that help relieve stress as you massage it into your skin. 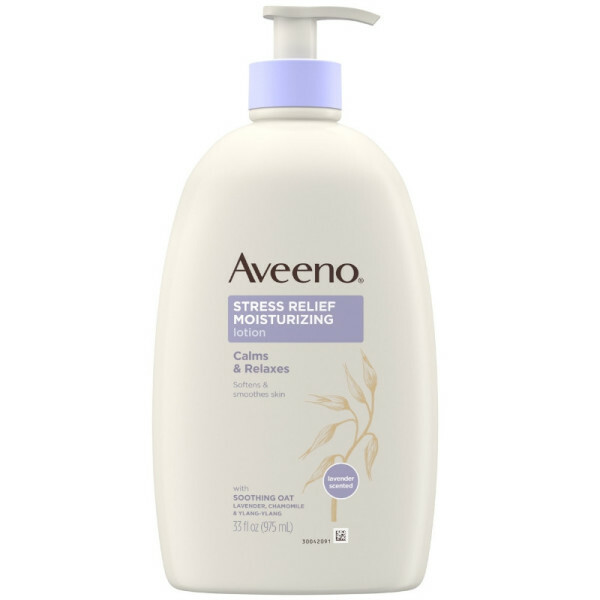 This lavender body lotion has a nourishing non-greasy formula that absorbs quickly for lasting moisture throughout the day and is from Aveeno a dermatologist recommended brand. Stress Relief Moisturizing Lotion on after bathing. 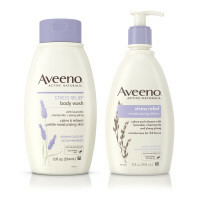 before bed or anytime you want to relax.